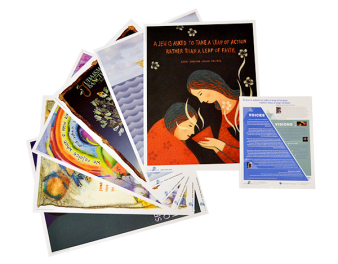 Voices & Visions is offering one (1) complimentary poster set of Frames of Mind (Set #1 or Set #2), Proudly Jewish, or Masters Series (Set #1 or Set #2) to Jewish organizations. 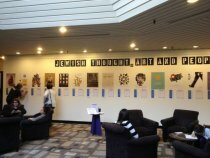 Frames of Mind and Proudly Jewish contain six posters each (18"x24"). Each Masters Series set contains 9 posters (18"x24"). 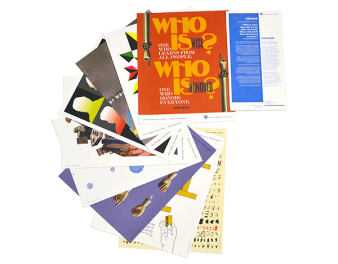 We're happy to send these posters to you free of charge. We request, in return, that you submit a posting about your display or program to The Exchange. Your experience may inspire other organizations. Shipping costs are included ONLY for the Complimentary Set, and ONLY within the domestic United States and Canada.